The Roanoke Valley Transportation Planning Organization (RVTPO), with assistance from the Regional Bicycle Advisory Committee, is participating in the 2015 National Bicycle & Pedestrian Documentation (NBPD) Project. Volunteers are needed to conduct manual counts of bicyclists and pedestrians at locations throughout the RVTPO study area during specified time(s). Each count period is 2 hours in duration, plus additional time to set up prior to conducting count (5 minutes or so). Volunteers will receive NBPD Project training and all requisite data collection materials (instructions, data collection sheets, pens, safety vest, etc.) prior to count date(s). Upon completion of the Volunteer Sign Up Form, the count manager will contact you, via email, to confirm your participation and provide training and related information. Volunteer Counters will be assigned a count location once confirmed. This entry was posted in Transportation on August 20, 2015 by Bryan Hill. 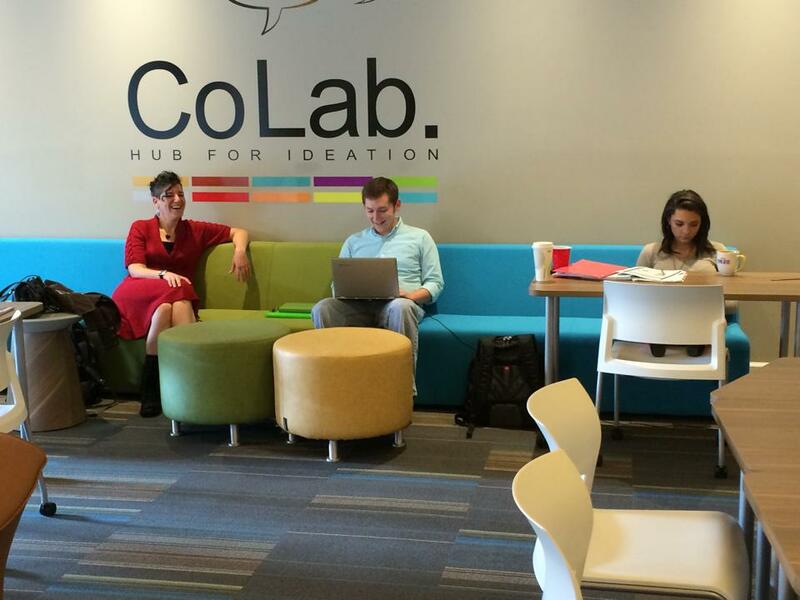 How Coworking Spaces Benefit Transportation and Promote Economic Development! 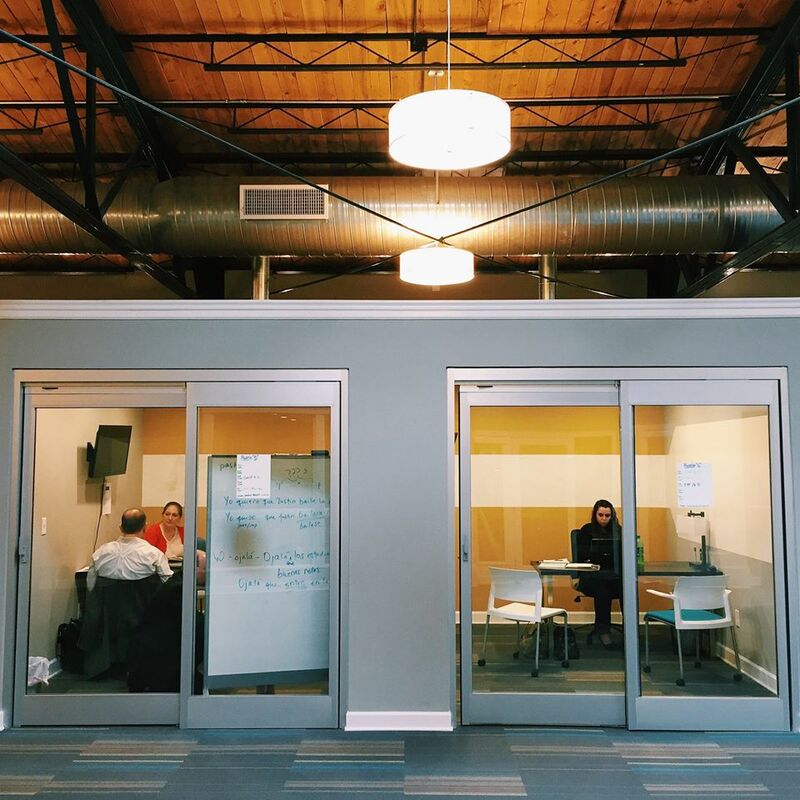 Coworking spaces such as the Grandin CoLab allow small businesses and startups to pay a monthly fee in order to use shared space within the facility. In many ways this is similar to an individual joining a fitness center. This idea is that business startups and home (garage) based businesses get to a point where it is not useful from a professional image or branding perspective to invite clients, partners or investors to meetings over the kitchen table or out in the garage anymore. A more polished business presence is needed in order to scale-up to the next level. This describes a target market for coworking spaces, however, what is really going on under the hood from an economic development and transportation planning perspective? Essentially coworking spaces allow members to share the high fixed-costs that are associated with a nice, well-done commercial space in a central commercial location in an urban area. All businesses face two types of costs: fixed and variable. Startups may have heretofore dealt with fixed costs by running their business out of their home or garage. However, when it comes to graduating to a commercial space, the high fixed costs can be daunting for a small business which may not be able to easily get conventional commercial financing. Coworking spaces solve this dilemma beautifully with their membership model that shares fixed costs widely among many startups. This allows for entrepreneurial business development that otherwise might have been stymied by high fixed costs thus developing the regional entrepreneurial ecosystem. Interestingly the observation that high fixed costs can have a dampening effect on entrepreneurialism and business creation dates back to the planning classic “The Death and Life of Great American Cities” by Jane Jacobs where she observed that one benefit of the so called “urban decay” of the 1960’s was that it kept rents (i.e. fixed costs) low so that small businesses would have a place to develop. Thankfully, coworking spaces are the exact opposite of “urban decay” and can provide high end and urban edifying amenities that can be affordable due to shared fixed costs in a commercially viable urban setting. Coworking spaces also provide “Economies of Agglomeration” which is a fancy way of saying the benefits that a business gets by being near other businesses. This can can be thought of as crosspollination of ideas and/or as spillovers from businesses in close proximity being each other’s’ customers and suppliers. Essentially co-working spaces produce internal economies of agglomeration within the one building. And, the building itself can be located in a downtown or village center and member benefits can benefit from the next level of agglomeration effects that come from being in a mixed-use urban context. As far as transportation is concerned it is precisely these agglomerating and concentrating effects of coworking spaces that encourage businesses to locate in urban areas where transportation already exists. This is in stark contrast to situations in the past where businesses would sprawl out further and further looking for cheaper rent. Also, the new transportation services such as car sharing, think Zipcar, ridesharing, or vanpooling which also benefit from users sharing the fixed costs of vehicle ownership are good complements to the coworking model. Such services as well as public transportation can be conveniently located nearby. Any dollar that an entrepreneur saves on transportation costs can be plowed back into growing their business. 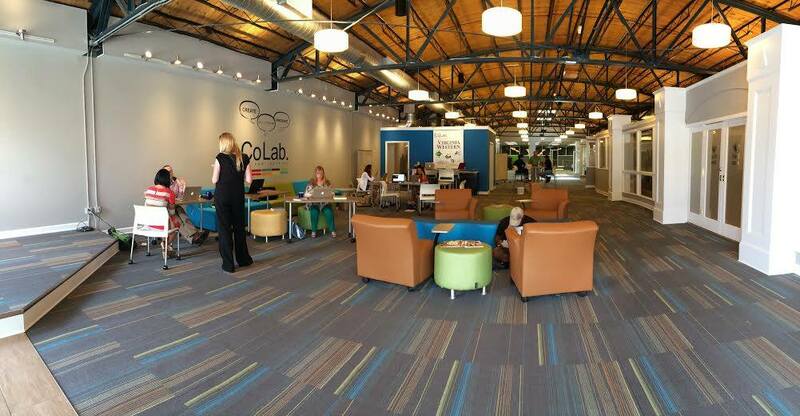 Disclaimer – In this blog post I have specifically referred to a successful coworking space in Roanoke, Virginia called the Grandin CoLab (http://www.grandincolab.com/). The concepts are generalizable and would apply to any coworking environment. This post is not a public sector endorsement of one particular private coworking environment over any other. This entry was posted in Transportation and tagged Economic Development, Transportation Planning, coworking, urban development, economies of agglomeration, cost structure, fixed costs, back to the city on August 12, 2015 by admin.